City of Emeryville Below Market Rate (BMR) at lovely Vue46! Buyer must meet BMR guidelines. Please see the City of Emeryville's website for information on qualifying. 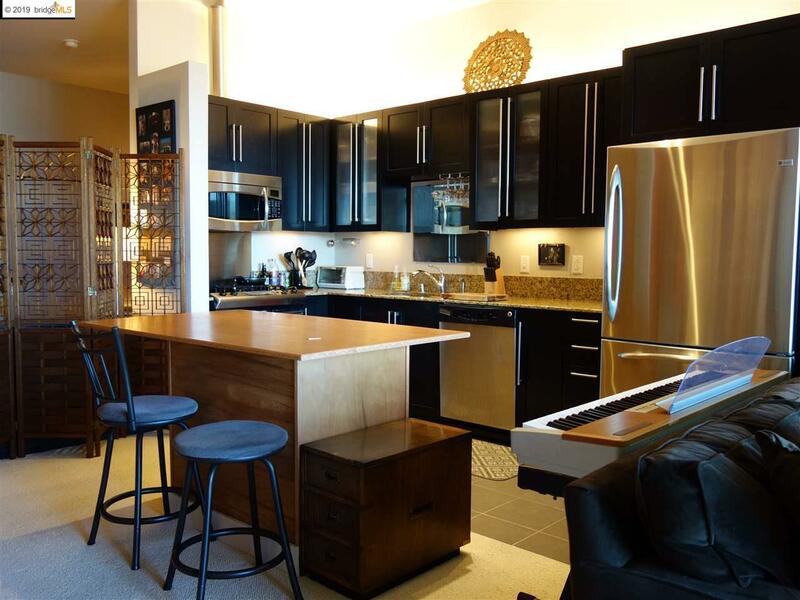 Come home to this stylish and modern studio condo in a fantastic location! This unit has been meticulously maintained and includes stainless steel appliances (including a gas range, ) granite counter tops and tile flooring in the kitchen. The bathroom has a shower over tub, granite vanity top and tile flooring. There is ample closet space and a stacking washer and dryer. Sky high ceilings and huge windows make for a light and airy feel. Walk out your front door to enjoy urban living at its best. Restaurants, bars and shopping abound! Take either a short walk or the Emery-Go-Round (free shuttle) to McArthur BART.